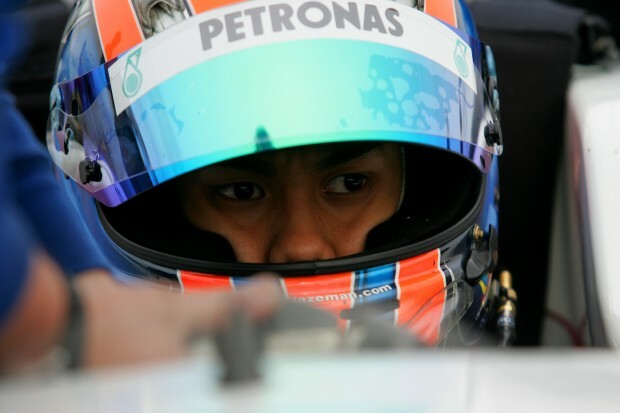 Jazeman Jaafar will return to the track for the third round of the British F3 International Series this weekend, with the unique challenge of the Pau street circuit ahead of him. Jaafar, one of only two drivers of the current British F3 grid to have experienced the venue, is eager to be back behind the wheel after a gap of three weeks and racing against not only his British F3 rivals but also the European Formula 3 Championship drivers who will be joining the field for the two-race event. The Grand Prix de Pau, held on the streets of the Bearn city, is an historic event, first held in 1933. The Pau event has been run on 67 occasions, featuring various categories of motorsport. This year’s event is headlined by the F3 races with a range of support races including the French FFSA F4 Championship, the Peugeot RCZ Racing Cup, the Porsche Matmut Carrera Cup and the 2nd Electric Grand Prix of Pau. The weekend features two F3 races, a 30 minute race on Saturday 12th May and a 40 minute race on Sunday 13th May, the Grand Prix de Pau and the flagship race of the event.